McJim Classic Leather, which has always been supportive of Filipino music, tapped the revamped 1:43 to further promote OPM by making it more appealing and relevant, especially to the younger generation. Towards this end, in fact, McJim successfully launched talent searches for the next big thing in the local music scene and has—in the recent past—sponsored the music of personalities like Tony Labrusca and X-Factor UK contestant JBK. “For decades, McJim Classic Leather has always adhered to its exceptional standards in product quality,” the company said in a statement. “By taking on this advocacy, the brand shows its intent to pursue outstanding local music talents in the country and, in the process, help realize the potential of OPM as a world-class force. Composed by Jayson Dedal and arranged by Sonic State Audio Studio, “Pasensya Na” dwells on the kind of love that is willing to give—and give some more—just as long as the beloved is happy. “Handa akong gawin ang lahat-lahat ng gusto mo / Handa akong ialay ang aking buhay para lang sa’yo / Handa akong ubusin ang aking sarili, o mahal ko / Basta’t lumigaya ka lang kahit ako pa ang masaktan,” goes the song’s chorus. “Pasensya Na” is McJim Classic Leather’s official soundtrack in its viral short film “Sinturon,” which has garnered over10 million views in various Faceboook pages in just a span of three weeks. 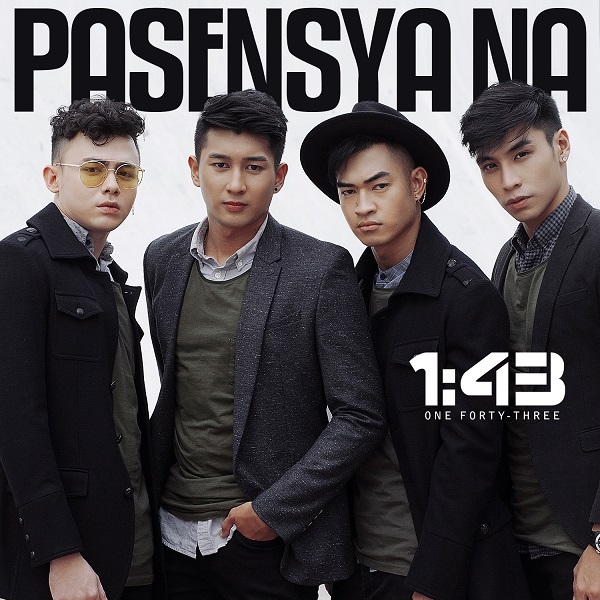 “Pasensya Na” can also be streamed in various digital platforms like Spotify worldwide, and is currently enjoying favorable airplay on FM radio stations nationwide. It follows the success of 1:43’s hit comeback single “Trapik Tralala,” which centered on love in the time of traffic gridlock. Chris Cahilig, 1:43 founder and manager, says that ‘Pasensya Na’ is a song that all hopeless romantics can easily relate to. “After all,” Cahilig muses, “it can’t be denied that most of us—at one point in our lives—have been martyrs of love and slaves to our emotions. 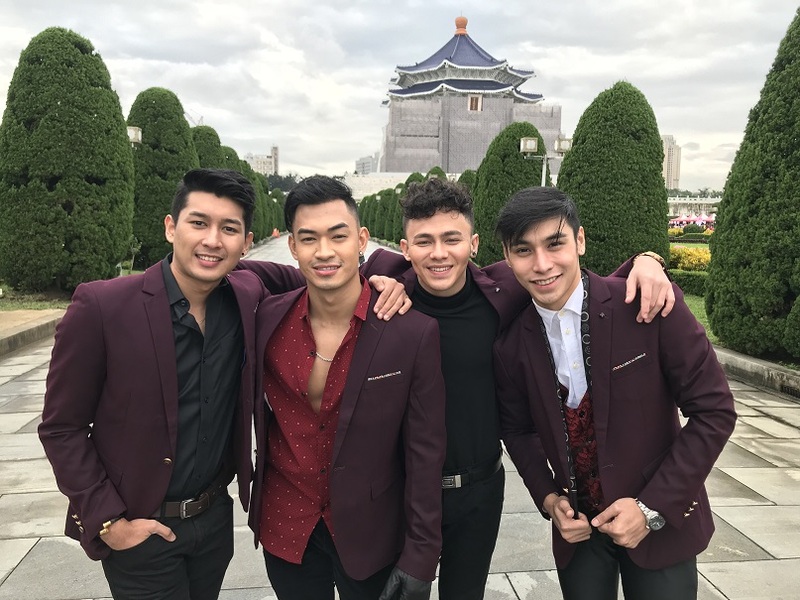 If fans love the song, Cahilig suggests that they watch for the official music video of “Pasensya Na,” which he and his team shot in Taipei, Taiwan, and is set to be released early in 2018. The new 1:43 features four talented and charismatic young men in the persons of Art Artienda, Ced Miranda, Jason Allen Estroso, and Wayne Avellano. The band bagged the 2013 Star Awards for Music Song of the Year for the monster hit “Sa Isang Sulyap Mo” and scored the “Most Promising Performing and Recording Group” recognition in the Guillermo Mendoza Memorial Scholarship Foundation’s 45th Box-Office Entertainment Awards. Aside from the monster hit “Sa Isang Sulyap Mo,” 1:43 also popularized the songs “Hayop Sa Ganda,” “Pag-Ibig na Kaya,” and “Ang Saya-Saya,” which became the official theme song of the GMA-7 sitcom “Ismol Family”. 1:43 is co-managed by Cahilig and Mario Colmenares of Primetime Events and Talent Management. For booking inquiries, interested parties may send a message at chriscahilig@gmail.com or call 09054409521.